Pilot got in touch on hosting a series of workshops to promote their entry-level fountain pen, Kakuno. 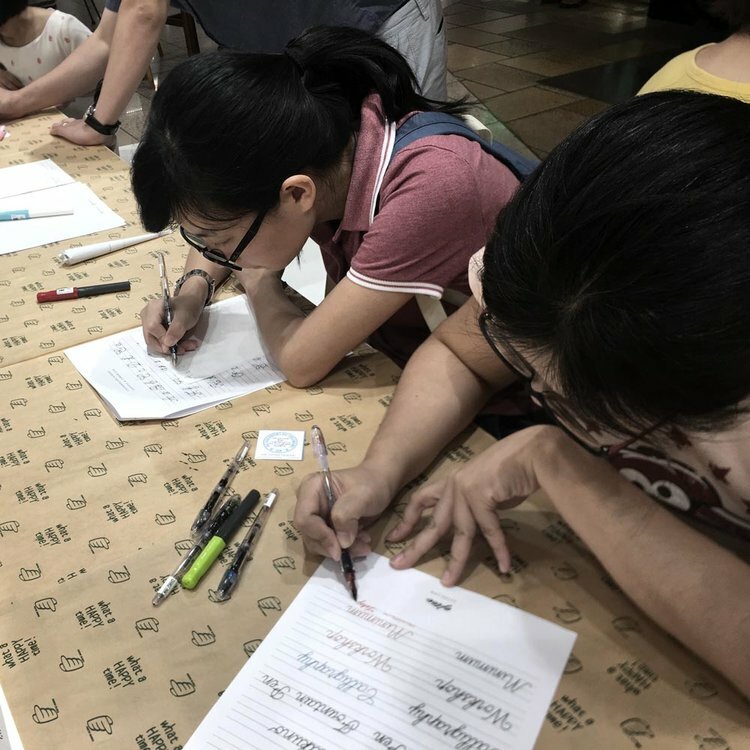 The workshops will be hosted in some of the stationery stores around Singapore that features Pilot pens. Participants are free to join within the scheduled slots. Each participant will be taken through introduction and some basics of writing cursive letters. It was fun and a relaxing weekend to teach these workshops and meet so many people! The goal is to spread the knowledge of fountain pens and also to introduce the art of cursive writing. I've taught a fair range of age groups during this workshop. Kids as young as 5 years old to senior adults. Everyone had fun learning and following the notes that I've prepared. I'd like to run some workshops if you have plan of running something similar.